Newcastle Permanent Charitable Foundation are passionate supporters of Sunnyfield, this year funding our ‘Fitability’ initiative which builds awareness of health through fun activities and raises the profile of people with disability in their community. 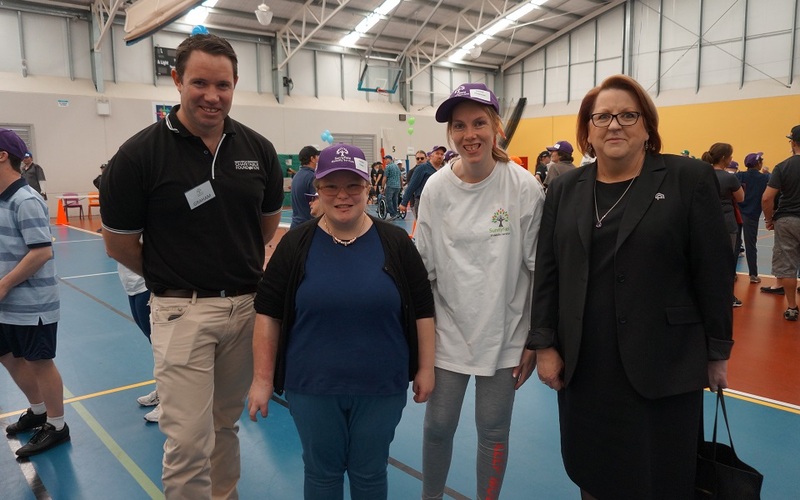 Through the Fitability program, Sunnyfield was able to host its fourth annual Indoor Sports Day in Tamworth this month and offer more than double the participation of last year’s event. The sports day was a huge success with more than 100 people with disability coming together to race, challenge, cheer and laugh! Fitability also supports a healthy lifestyle for clients on an ongoing basis through weekly sports and fitness programs. Thank you Newcastle Permanent Charitable Foundation for your commitment to supporting people with disability to be fit, active and healthy.